An electric shower can be a great choice if you are looking for a low cost option that's easy to fit. In this expert buying guide, we'll explain what electric showers are, before taking you through your options. Do I need an electric shower? An electric shower works as a self-contained unit, heating and pumping the water as it’s used. This means it only needs to be hooked up to a cold water supply. This makes it a more energy efficient option as it doesn’t need to draw from a boiler, so no hot water is wasted. By contrast, a standard shower draws from both hot and cold water supplies, and the strength of your shower depends on the water pressure of your home. We only work with the best electric shower manufacturers such as Mira Showers, Triton, Bristan and Aqualisa, to ensure you get a high quality product that works both efficiently and effectively. An electric shower heats water in a similar way to a household kettle. Some of the cold water that enters the unit is sent to a small container where it is very quickly heated—the part that’s like a very small but powerful kettle. This hot water is then fed back into the stream of cold water via a thermostatic valve, maintaining a constant temperature. You control this valve via the temperature dial on the outside of the unit. This means one of the advantages of an electric shower is that it can avoid those unpleasant moments when someone turns on a hot tap or flushes a toilet elsewhere in the house and you’re drenched with boiling hot or freezing cold water. All the electric showers at VictoriaPlum.com come with thermostatic controls to avoid this problem, making for a safer and more comfortable showering experience. Electric showers are most useful for quickly and easily installing an ensuite or downstairs shower room. If you’re refitting a main bathroom or existing ensuite, chances are you won’t need an electrical shower if your home has sufficient water pressure, and a standard shower was fitted previously. Adding extra bathrooms or shower rooms can be tricky if there’s no existing plumbing. It’s usually much easier to just add a cold water supply to enable you to use an electric shower instead. Electric showers usually come in a range of power options—from 8.5kw to 10.5kw—so if you want a hotter, stronger shower, choose the highest wattage. Electrical shower installation should always be carried out by a professional, as they need to be safely hooked up to a water supply as well as your home’s mains electricity. An electric shower also needs to be connected to a separate ceiling-mounted switch to turn it off and on for added safety. Handy hint: Find out which type of tradesperson is best to fit your electric shower. Well-designed electric showers can make things easier for fitting, such as flexible water inlets to accommodate left or right hand pipe connections. As with all riser rail shower kits, keep in mind who will be using it when you install it. You should make sure the shower head will be high enough for the tallest person in your household using it, or low enough for children to use. If you're specifically looking to purchase an electric shower by Mira Showers, check out the Mira Showers electric shower buying guide for more specific advice. 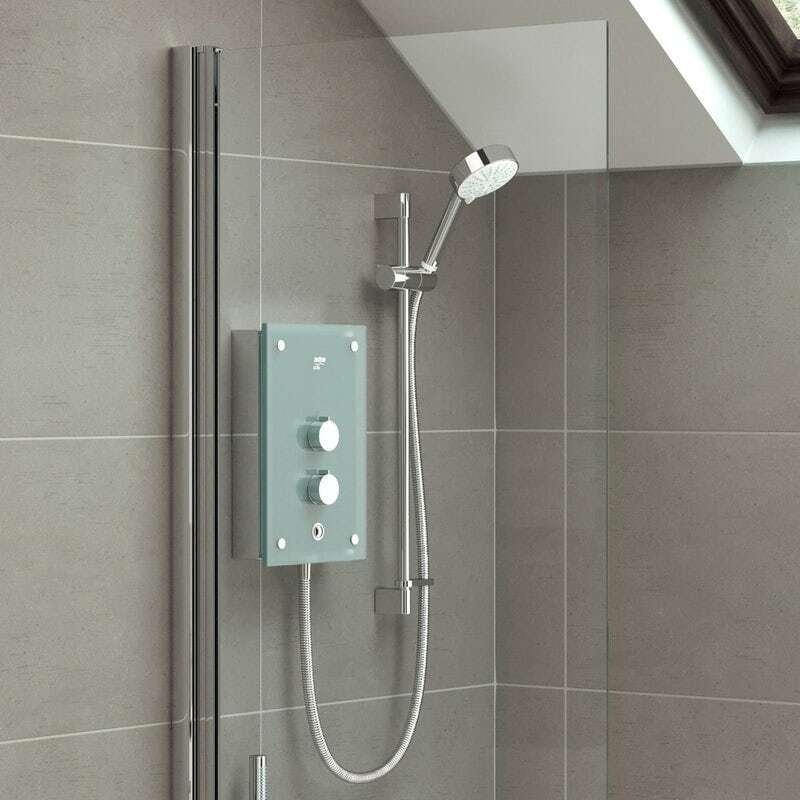 If you have restricted mobility, due to old age or a disability, AKW produce a range of easy-to-use electric showers, designed with Independent Living in mind. 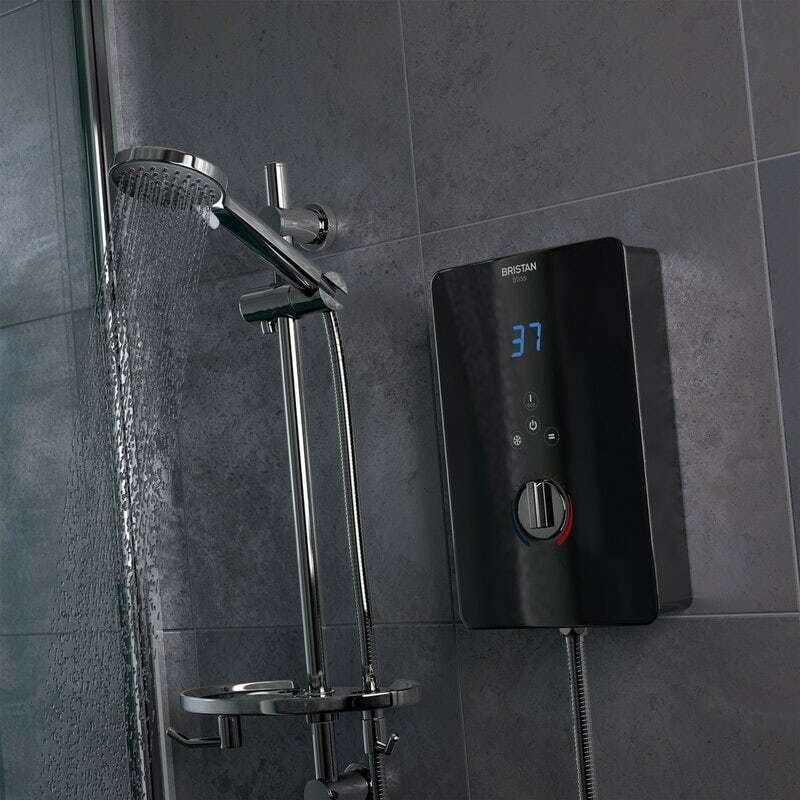 From the AKW iSure, with its large and very simple dial controls, to the more sophisticated AKW iCare which can be controlled by a carer from outside the room using a smartphone app, AKW electric showers are quick and easy to install with 8 water and electric entry points. Browse our range of high quality electric showers today. If you're tight on space, but really love your shower in the morning, you may feel there isn't a design out there for you. But you may be wrong, as we take you through our selection of the best showers for small bathrooms. Thinking of buying an electric shower? 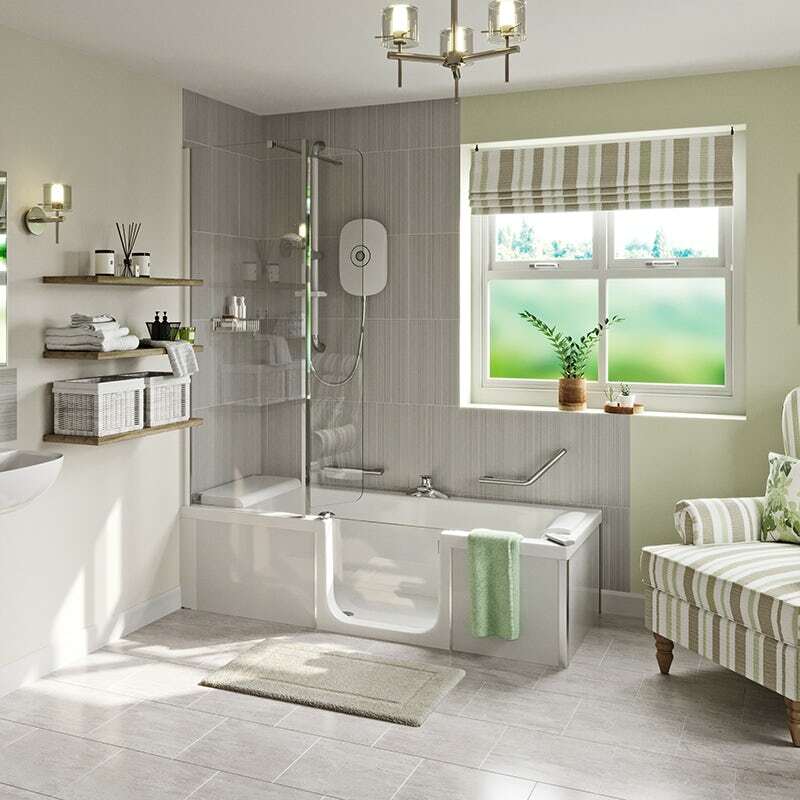 We asked the experts at Mira Showers just what you need to look out for.